Retailing in the GCC is closely tied to social habits. Shopping malls dominate the retail landscape because they provide a source of entertainment and air conditioning. Two and half decade ago, the Emirate of Dubai’s main thoroughfare was mostly sand. Now it is one of the world’s most modern urban landscapes. Dubai is at the heart of the Gulf Cooperation Council (GCC), a region that houses an abundance of three of the great drivers of the 21st-century global economy: hydrocarbons, financial services, and young people. No surprise, then, that the GCC which comprises Bahrain, Kuwait, Oman, Qatar, Saudi Arabia and the United Arab Emirates has witnessed an astonishing real GDP growth of 65% since 1998. Currently valued at $1.7 trillion, the GCC economy is projected to exceed $2 trillion by 2020. In the West, the GCC is perhaps most often associated with wealthy oil sheiks: Qatar, Kuwait, Bahrain, UAE and Oman all contain areas with some of the highest proportions of millionaires in the world, many of whom display their wealth conspicuously. But while luxury goods are particularly successful in the GCC, the retail sector in the region is growing healthily across all wealth bands; many analysts predict a continuation of the current growth rate of 6-8% as the retail market reaches $270bn in 2016, with Saudi Arabia and UAE the lead drivers in the expansion. A main engine of this retail growth is the region’s unique combination of high government spending and very low taxes made possible by the huge profits of state-run oil companies –despite record low oil prices, which increases the portion of individual income available to spend on consumer goods. While most of the GCC countries and particularly UAE and Saudi Arabia seem politically stable, spontaneous social unrest in Bahrain and Kuwait in 2011 and 2012 showed that businesses in the GCC face a socio-political risk that is difficult to quantify. Other challenges exist in the region as well, including increasing rents for retail space, high attrition rates among a mostly expatriate workforce, a thriving market for counterfeit products, and complex cultural differences that Western retailers may find difficult to navigate without a local partner. Within the GCC, demographics vary dramatically. Nearly a third of Saudi Arabia’s population of around 28 million is younger than 15 years of age and a vast majority of the population are native Saudis. In UAE and Qatar, by contrast, adult expatriates make up more than 80% of the population. Many expatriate workers are laborers predominantly from South Asia but a sizable, wealthy Western business community exists as well. International brands are in strong demand across the Gulf. The region’s Western business community typically favors familiar brands, and a steady influx of tourists also bolsters international retail for example, Dubai Mall, currently the world’s largest shopping mall, records 65 million visitors a year. Retailing in the GCC is closely tied to social habits. Shopping malls dominate the retail landscape because they provide a source of entertainment and air conditioning in many GCC countries, an inclement climate makes outdoor activity unpopular for much of the year. In Saudi Arabia, the prohibition of non-religious music, cinema, gambling and alcohol make shopping and dining at malls two of the few sources of entertainment that is culturally acceptable. Airports are also important retail hubs, with duty free and travel-related sales forecast to grow from $3.2bn in 2011 to $6.2 bn in 2016, according to airport operator’s analysis. In both malls and airports, international brands make up the majority of retail options. While most famous for luxury shopping in the UAE, for example, shoppers can buy gold bullion from vending machines and diamond-studded cellphones from phone stores the GCC has also witnessed the growing success of international bridge and mid-market brands. Nike, Gap, Tommy Hilfiger, Nine West, and even Victoria Secret all sell to Gulf consumers, though retail chains are typically managed by privately held companies operating as regional franchisees of the brand. Interestingly, many solid, mid-market Western brands, such as Mothercare, Top Shop and Debenhams, are successfully positioned as mid to upper brands in the Gulf region, with higher price realization than in their domestic markets. Selling without a local agent is difficult in the Gulf the UAE, for example, requires international retailers to give a local partner at least a 51% equity stake of the business, though the distribution of profit and loss can be independently agreed upon. Even without such equity restrictions, international suppliers and brands tend to sell franchising rights because of local partners’ understanding of political, regulatory and cultural constraints. There are several local trading companies with significant business divisions that operate global franchises with much of the sophistication of leading global retailers. Some of these, such as Alshaya, are also present in other developing regions such as Eastern Europe and Russia. Cultural risk is not to be underestimated as Virgin Megastore learned when it pulled out of Kuwait reportedly after authorities deemed a majority of the store’s inventory to be obscene, including music from Britney Spears, Lady Gaga and Eminem. In Saudi Arabia, imported apparel cannot contain language that violates Islamic values, and many forms of direct marketing that are common in the West are unacceptable due to precepts regarding privacy at home; instead, personal relations between vendors and customers play a more important role in promoting and marketing products. Tax structures in some GCC countries are also very complex, and require local expertise to navigate. 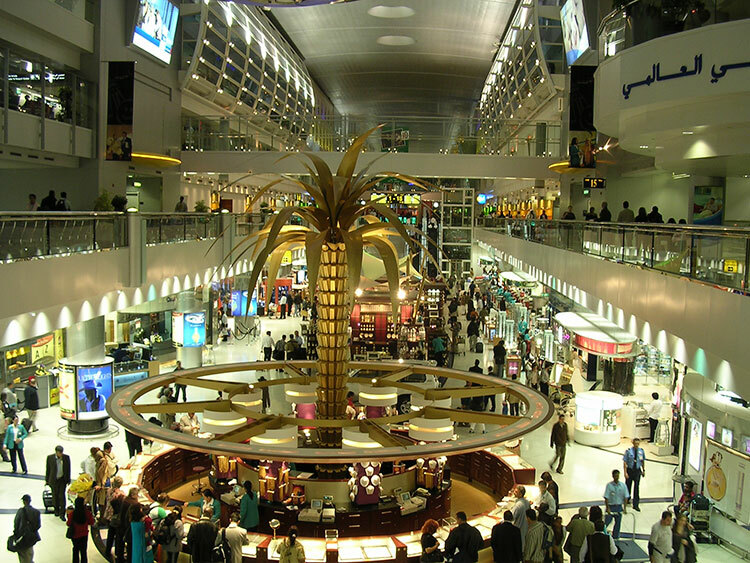 Saudi Arabia is the GCC’s largest and fastest growing retail market; the United Arab Emirates is the region’s most structurally advanced and mature market. Other countries in the region also offer attractive prospects. Qatar’s retail sector grew by 10% in average in last decade. The country’s main city, Doha, has around ten modern shopping malls and a vibrant retail scene that is expected to grow on the back of infrastructure and tourism development in the run-up to the FIFA World Cup in 2022. Kuwait and Bahrain, though small, have wealthy populations and a growing retail sector. Oman, though poorer than many other GCC countries, is fast-growing, and might appeal to retailers seeking a first-mover advantage. In short, the Gulf region has proven to be a market in which foreign brands can succeed. Today, the region offers largely mall-based opportunities with meaningful but modest prospects relative to other international markets. However, cultural and regulatory complexities mean the GCC remains a franchise-model market for most.